Design your own custom printed muslin fabric. Personalised muslin fabric is a classic muslin weave with a modern twist. It has the lightness of cotton, as well as the soft-touch and beautiful drape, yet the strength and durability of poly. With an open-sett construction that is net-like, Mulmul Soft Muslin is made from synthetic fibres. This material is perfect for flowing dresses, soft scarves and shawls, net curtains and even general crafting. Our Mulmul Soft Muslin is super lightweight, at only 55gsm. It has a naturally loose yarn which helps give your personalised muslin fabric design a rustic look, without impacting the quality of the print. Recommended for printing bold, bright colours it is advised to avoid very fine details due to the open weave construction of the textile. As this mesh fabric is made from synthetic fibres, despite still having the appearance and soft feel that original muslin has, it has added strength and durability; you can even wash it in the machine at 30° with the rest of your laundry. Fast delivery, fabric print looks great, Thank you. Muslin fabric has many different uses. It is a fabric that is made using a plain weave, and it gets its name from the city of Mosul in northern Iraq, which is possibly where it was first manufactured. Muslin is fine, soft and lightweight. It is used as a French polishing pad for shellac polishing, and is the traditional material for the cloth wrapped around a Christmas pudding. It is also the material that beekeepers use to filter melted beeswax through when they are cleaning it of debris and foreign particles. It is even used in cerebrovascular neurosurgery, to wrap around intracranial vessels or aneurysms that are at risk of bleeding, to reinforce and prevent rupture. In more recent years, muslin has become a popular choice for newborns, especially due to its soft and strong nature. Muslin squares are a popular essential with new babies. Known as a mother's best friend, they are so versatile that they don't have one specific purpose; used as bibs, dribble-cloths, comforters, sunshades or for lining cold changing mats, they really do have unlimited uses. We offer multiple ways for you to receive your printed muslin fabric; these options are presented to you in our simple-to-use, intuitive online design tool. After we have bonded your print on muslin fabric, we can either send it to you "As is" with a white border around the edges; exactly as it comes from the printer. If you would prefer, we can "Cut on the Line" your personalised muslin fabric; one of our experts will cut all the white edging from the fabric, leaving only the part with your print. Another option is to have your custom printed muslin fabric UK hemmed. One of our experienced seamstresses will stitch the hem around the entirety of your personalised muslin fabric. This will be done here in our UK studio, which is based in London. You will have the choice of a black or white thread which will make be used to make an overlocked hem, which is stitched completely over the edge of the material. Please make sure that you account for hemming when providing your measurements. Custom printed muslin fabric, UK printed in our London studio, is handmade using your designs with a fast turnaround. Every printing method that we use will bond your personalised design to your printed muslin fabric, in full glorious colour. We decide on how to print on muslin fabric by the type of material it is; natural fabrics lend themselves to a pigment printing method, whereas our synthetic materials (including Mulmul soft Muslin) are printed using a technique known as dye sublimation. 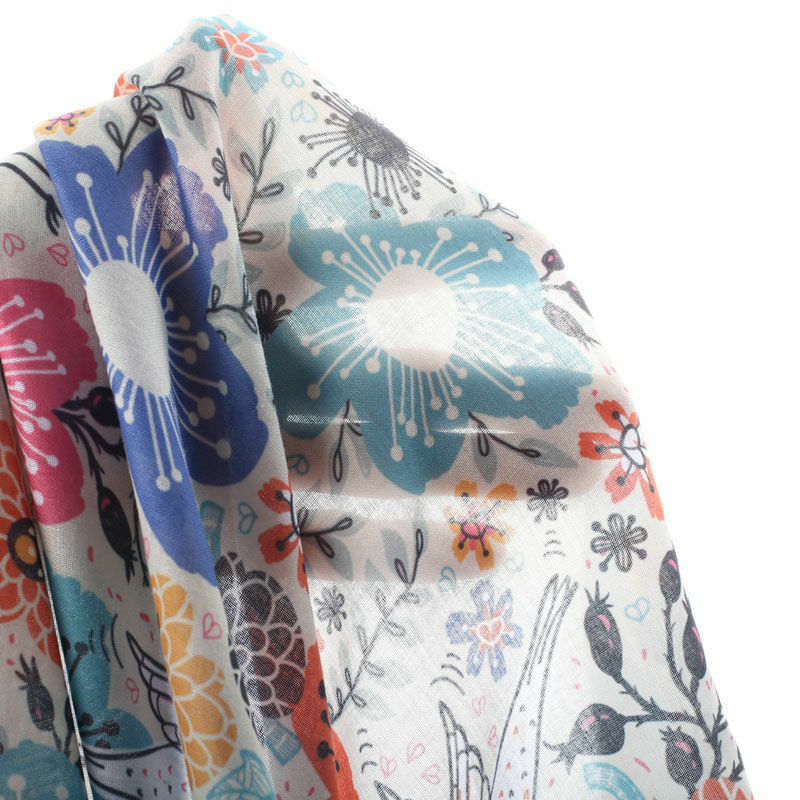 Dye sublimation is a two-part process which involves first printing your personalised muslin fabric design onto a transfer sheet, then using heat to bond this and create your printed muslin fabric. Please note: Due to the delicate nature of the fabric, some pulls are to be expected and this is not out of the ordinary. Due to the loose yarn of the fabric, the shape of your design may vary slightly. This will not impact the outstanding quality of your Mulmul Muslin fabric and will give every print its own unique charm. 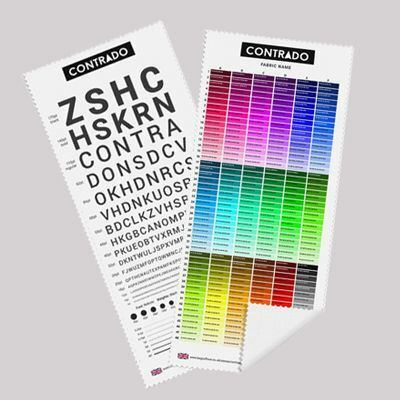 Display your name tags label or brand name and company logo by custom printing your fabric labels. 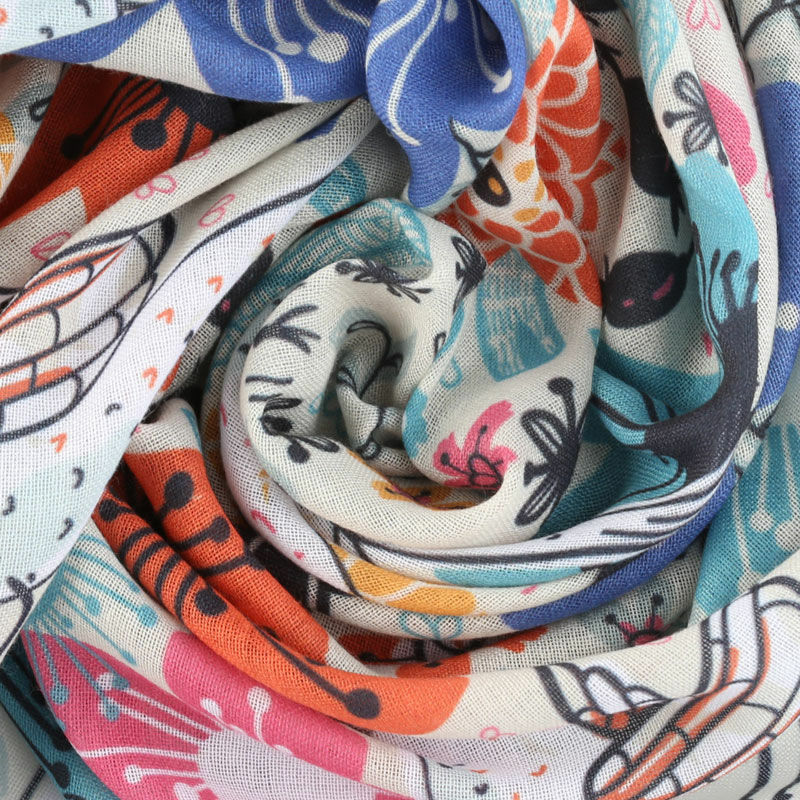 Discover over 100 fabrics to print on and get the feel for them. Ready printed samples in squares.